Four Winds Fuel fills your tank based on your usage, thus eliminating the possibilty of running out of fuel. 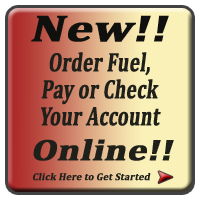 You call us when you are ready for a heating oil delivery. You may either fill your tank or purchase a specific amount of oil. Sign Up for 2018-19 has started. Our Cap Program Sign Up runs approximately from the end of May to the end of September each year. Traditional Price Cap Plan - Cap Price $2.749 with Participation Fee of $99.99* payable at the time of sign up. *EARLY SIGN UP SPECIAL = reduced fee until 6/30/18. After, fee will be $149.99 for Budgets and Traditional Cap. Pre Buy fee will be $99.99. Heavy Machinery - Bulldozers, Forklifts, Backhoes, etc. Hospitals, Surgical Centers, Schools and Trucking Co.